Casa Deli is a Finnish company founded in 2013, which imports high-quality confectionery products to cafes, restaurants and grocery stores. The selection includes sweet and salty confectionery products. 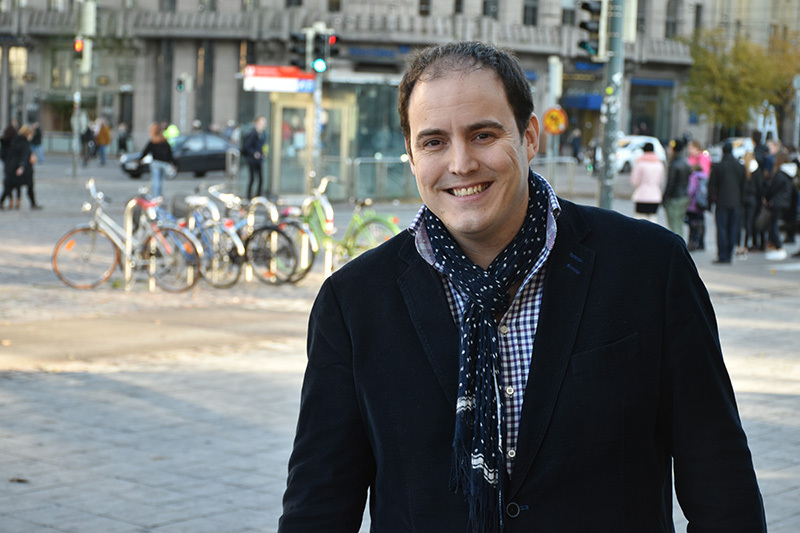 The man behind Casa Del is the Spanish Rafael Ladrón de Guevara, who arrived in Helsinki from the Spain disfigured by economic crisis, with the aim of creating a new life and career in Finland. “I understood that if I want to succeed and create a career I like, I have to leave Spain. Even though I had a Master’s Degree, I was more motivated to come to Finland and start from nothing than to stay in my country”, Rafael recalls. The man who has a university degree in physical education and health saw potential in Finland, knowing that people were interested in physical activity, nutrition and well-being. At that time, he did not even think he was going to lead a confectionery company. The first six months in Finland went to searching of work and doing some random tasks. Eventually, the first version of Casa Deli founded by Spanish welcomed Rafael to his sales team. “I was looking forward to the job because I was energetic and motivated to work. I enjoy insanely sales work and meeting people”, Rafael says. In a sales work, a man was able to exploit his sociability and human proximity. The company grew up thanks to Rafael’s extensive sales efforts and soon Rafael’s share of sales was as high as 80-90 percent. Rafael was made a Sales Director and more salesperson were hired for the company. A few years ago Rafael was offered a stake, and he initially started with a small share. Soon Rafael was offered a chance to buy the entire company. At the same time, the man was contacted by investors who wanted to get involved in Casa Deli. Today Rafael owns 80% and investors 20% of the company. Rafael feels that he has succeed in sales work and entrepreneur because he enjoys daily encounters with people. “I can implement people’s needs and wishes and get to know different people”, the man adds. Rafael enjoys working with Finnish customers. “Although Finland is said to be a cold country, for me Finland is warm, thanks to people,” he feels.